Copy media from an iOS device to your Mac. Is there a better alternative to Phone to Mac? Is Phone to Mac really the best app in File Management category? Will Phone to Mac work good on macOS 10.13.4? 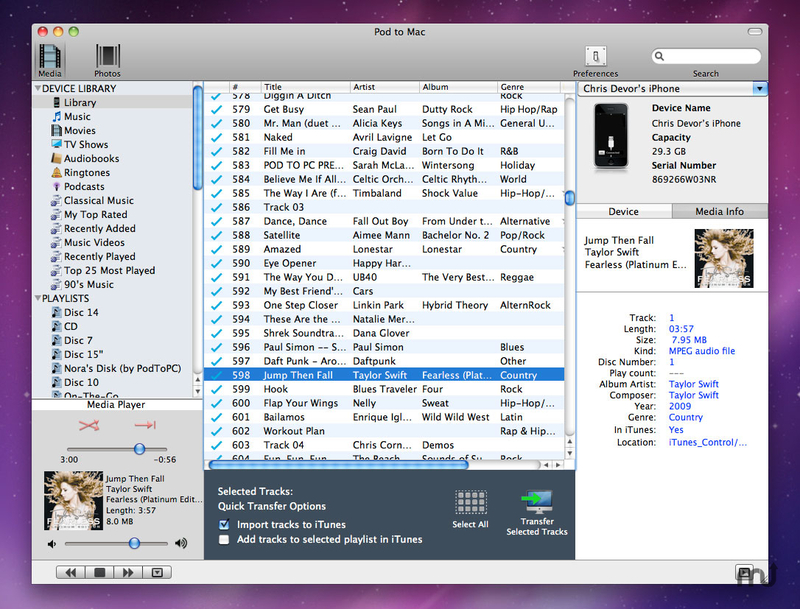 Phone to Mac lets you easily copy, transfer or rip the music, videos and playlists from any iPod, iPhone, iPad directly into iTunes on any Mac. By decoding the iOS binary database, Phone to Mac rapidly reveals the contents of your device and then lets you choose what to do with the tracks. Play counts, ratings and the other track details are all recovered for every song transferred. The program's features also include audio and video track previews, sortable columns and more! Version 4.4.3: Release notes were unavailable when this listing was updated.